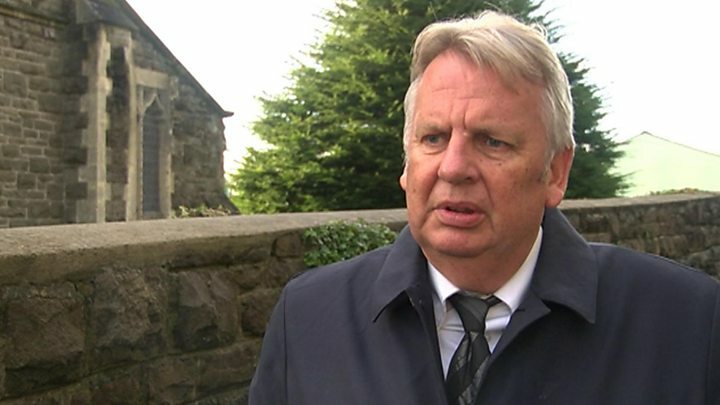 An ex-Welsh Labour minister who faced a party investigation into allegations about his personal conduct has taken his own life, it is understood. A family statement said they were "devastated beyond words" at the loss of "the glue that bound us together". He was sacked from his Welsh Government job after allegations about his behaviour were passed to First Minister Carwyn Jones' office. Mr Jones had said on Monday he felt he had no choice but to refer the matter to the party. Mr Sargeant had vowed to clear his name. 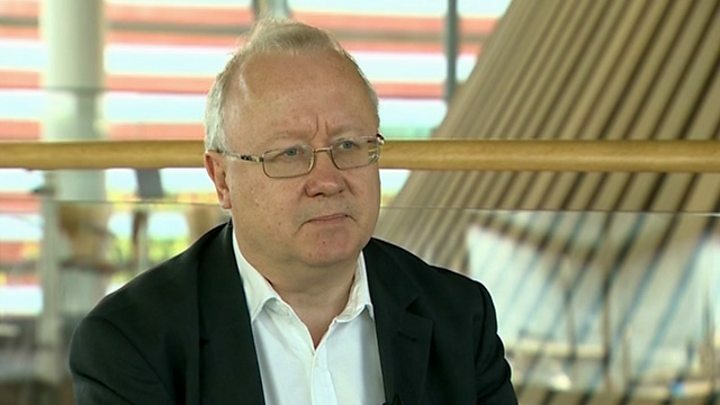 The Welsh Assembly's business for Tuesday was cancelled as a mark of respect following his death, and meetings on Wednesday and Thursday will also not take place. In a statement Mr Sargeant's family said: "Carl was a much loved husband, father and friend. "He wasn't simply a part of our family. He was the glue that bound us together. "He was the most kind and caring husband, father, son and friend. We are devastated beyond words, and we know our grief will be shared by all those who knew and loved him." The Senedd, in the wake of the death of former Welsh Government minister Carl Sargeant, is a place in shock. I do not remember an atmosphere anything like this. There is, among some senior Labour figures, a growing sense of concern and anger at the process where the government or the Labour Party appear not to have exercised their duty of care over Mr Sargeant after he faced accusations about his behaviour. There are people who spoke to Mr Sargeant on Tuesday morning who were told that he still did not know what the allegations were. Carwyn Jones's future could be on the line here. This is a trauma that could become a political crisis unless he comes up with the answers that Labour AMs in particular want to hear. Paying tribute, the first minister said: "Carl was a friend as well as a colleague and I am shocked and deeply saddened by his death. "He made a big contribution to Welsh public life and fought tirelessly for those he represented both as a minister and as a local assembly member." 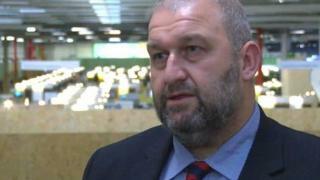 The prime minister's spokesman said in relation to the "sad news" about the death of Carl Sargeant, that Theresa May's "heart goes out to Carl Sargeant's friends and family". Mr Corbyn said the AM was "somebody who represented our party" and "worked hard to represent his communities". The Labour leader said that all allegations must be examined and pursued but added: "There must also be great pastoral care and support given to everybody involved in these accusations, and also that we deal with them, all parties, as quickly as possible." Speaking through tears, former local government minister Leighton Andrews told BBC Radio Wales: "Carl Sargeant was loved. He was loved across the political divide. He was loved by the people in his own community. "Carl was a unique politician. He arrived in the assembly from the factory floor. He grew up and still lived in the council estate that helped shape his roots in Connah's Quay - he was still very much part of that community. "My understanding is that Carl was still not aware of the detail of the allegations against him even though, I'm told, this morning." Media captionEx-Plaid AM Rhodri Glyn Thomas: "Carl clearly felt he'd been found guilty"
Former Plaid Cymru AM Rhodri Glyn Thomas said Mr Sargeant "clearly felt he had been found guilty before he had a chance to defend himself. "So I think we need to develop a system which is fair to everybody, which defends everybody, but doesn't place people in a position where they feel they have no opportunity whatsoever to fight their cause." Tributes were paid across the political divide on Tuesday. Conservative Welsh Secretary Alun Cairns said he was "shocked and saddened" by the news, adding: "My heart goes out to his family, friends and colleagues." Elin Jones, assembly presiding officer, said Mr Sargeant "served the people of Alyn and Deeside with pride and determination" and that he had made an "enormous contribution to the development of this democratic institution". Welsh Conservative leader Andrew RT Davies said: "Our Parliament has lost a stalwart and many of us have lost a friend." Plaid Cymru leader Leanne Wood said: "Carl Sargeant made a significant contribution to Welsh politics, both as an assembly member and a government minister." UKIP Wales leader Neil Hamilton described him as a "gentle giant" who would be "missed across the party divide". Liberal Democrat Kirsty Williams, who was a colleague of Mr Sargeant's in the Welsh Government, said: "Not only was Carl a dedicated local AM, but he was an effective government minister who had a significant impact across political life at a national and community level." FC Nomads, the Connah's Quay football team that Mr Sargeant was president of, cancelled all games this weekend in a mark of respect. North Wales Police Supt Mark Pierce said police were called at about 11:30 GMT on Tuesday to a report that a man's body had been found at an address in Connah's Quay. "The man has been formally identified as local AM Carl Sargeant. His next of kin have been informed and police are supporting the family," he said. "North Wales Police are not treating his death as suspicious and the matter has been referred to HM Coroner."